While on an epic quest into a distant kingdom, there is no need to leave modern gadgetry behind. 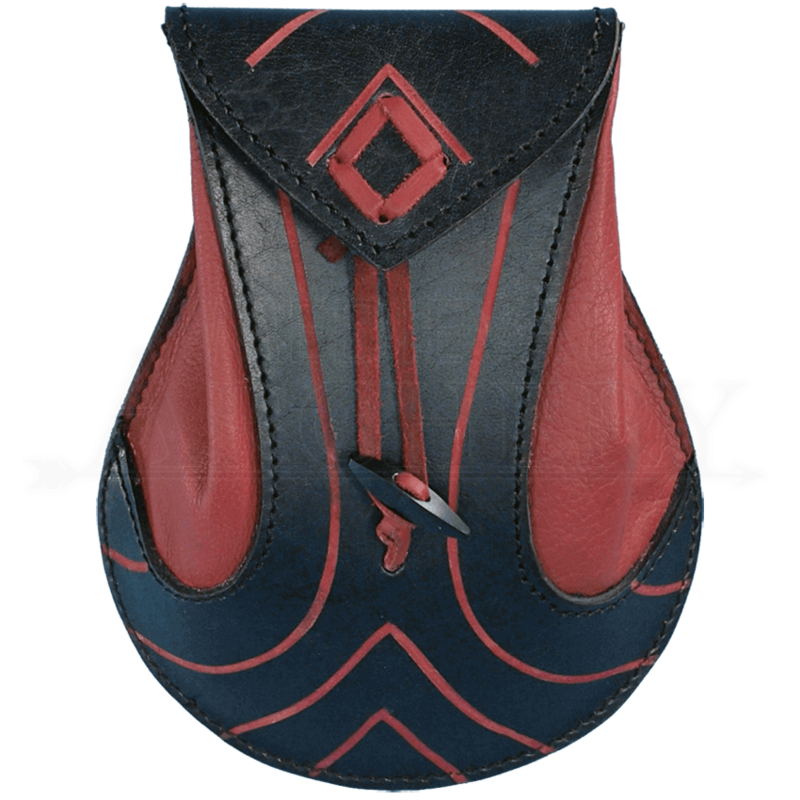 Keep those convenient items close, without alerting the residents of the fantasy realm to your foreign origin, with the Elven Leather Pouch. Made from vegetable-tanned leather, this bag features a belt loop and a flap opening with a corded closure. 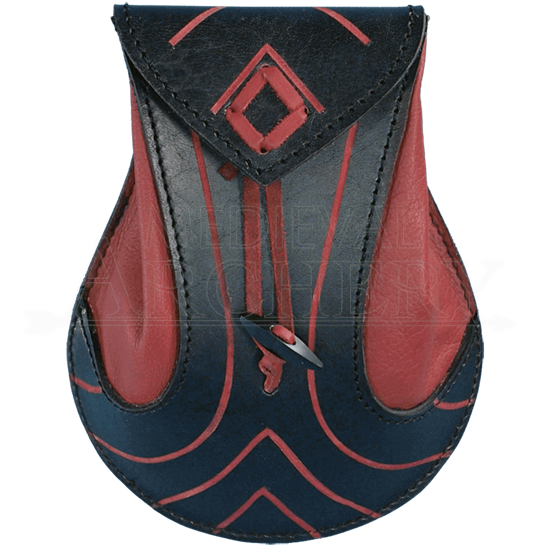 Arrow-like indentions decorate the thick leather that forms the flap, belly, and bottom of the pouch. The sides of the bag are fashioned from a soft leather, allowing more room for storage. Stitching reinforces the structure and secures the belt hanger to the thick back plate. A horn bar appears at the belly of the pouch. Just loop the cording around the horn to easily store and conceal items such as mobile phones, keys, and coins.